Gord Downie’s Secret Path project highlighted the death of 12-year-old Chanie (Charlie) Wenjack and his attempt to escape residential school. One of Chanie Wenjack’s sisters says the work Gord Downie did in the final months of his life brought some much-needed attention, not only to her brother’s story, but those of other residential school survivors as well. Wenjack’s death — where his body was found alongside railroad tracks in 1966 after he ran away from a school near Kenora, Ont. — was the subject of Downie’s Secret Path, a 2016 multi-media project that included a solo album, a graphic novel and an animated film. “We were aware of [Secret Path], we just didn’t know how big a project it was,” Daisy Munroe said on Thursday of when the singer travelled to visit the Wenjack family and the community of Ogoki (also known as Marten Falls First Nation) last year. Downie, 53, died Tuesday night from glioblastoma, an aggressive and incurable form of brain cancer. “It was also something that my family and I and the rest of the residential school survivors have always wanted, was the exposure to what happened in the schools that we attended,” she continued. Downie reportedly was deeply affected by Wenjack’s story after reading an article done in 1967 for MacLean’s by journalist Ian Adams. He officially launched Secret Path in September, 2016 in Ogoki. Downie used the final months of his life to call attention to reconciliation with Canada’s Indigenous peoples. The release of Secret Path commemorated 50-years since Chanie Wenjack’s death. Munroe said survivors telling their stories has to continue. “I always wanted other people, survivors … to get their own story out and start talking about what happened and for people to know,” she said. A fund was also established in Downie’s and Wenjack’s names to aid in reconciliation between Indigenous and non-Indigenous peoples. In the final months of his life, Downie used his celebrity to speak out in support of issues facing Indigenous communities. 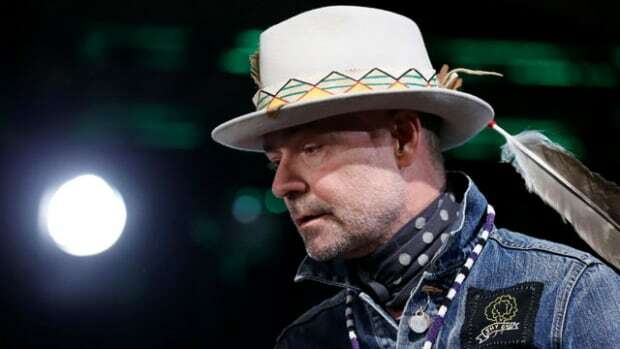 During the final concert by the Tragically Hip, the band he fronted for over 30 years, he told a cross-country audience it was time to get serious about reconciliation with Indigenous communities and addressed Prime Minister Justin Trudeau directly. Given the type of cancer Downie was battling, Munroe said she always knew the time would come when he would pass away. Drugs at 4 months. Sexual abuse as a child. Now he fights to keep the monster inside. Residential School Magazine. Dealing with all aspects of the residential school experience. Featuring stories from survivors, interviews with prominent First Nations and Native American people, and inspirational essays and narratives. Its general tone is to uplift, aid, and inform readers who have been affected by the residential school system. St.Anne residential school survivors and concerned citizens.